This is part 2 of Fay’s story of moving to Italy. You can find part 1 here. 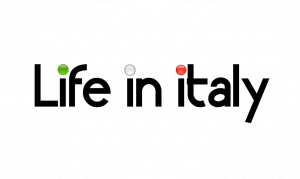 Remember that you can send us your travel diary, expat experiences and any other story you have about staying in Italy (write to info@lifeinitaly.com). Terrorism, Schooling and A Quick Trip, Paves The Road Ahead. Our lives continued to be increasingly hectic and during the course of the following seven years, our feet hardly touched the ground with three busy youngsters and my Mother’s deteriorating health. We had still hoped one day we would visit Italy again so we thought we’d try to learn Italy’s difficult language. At least we’d be able to order ‘due cappuccini’ using the correct pronunciation without feeling stupid. We found a language course we thought would suit us a few miles away and because of work commitments, could only manage an evening course commencing at 7 finishing at 9. We were hanging to say the least. It was just too much for us at that time, trying to take in the verbs with the many endings, deciding if something is masculine, feminine, plural or singular let alone staying awake. It was no good. We’re not the ‘giving up’ type, but regrettably with a huge sigh of relief, we did. A friend had mentioned to us that there was a TV programme from the BBC Learning Zone being shown late at night which might interest us. We recorded each episode, and watched it over and over. It was called ‘Italy Inside Out’, hosted by a UK writer/journalist James McConnachie and Gabriella Facondo an Italian journalist. We introduced our children for their first time to Italy in 2005, Bella and Lucia were 7 and Gianni was 8. We’d flown with Easyjet, a no thrills but good airline to Venice (Marco Polo airport) in the province of Veneto, picked up a hire car, got lost in Padova and eventually reached Lago di Garda and our chosen campsite, our best option being a family of five. We enjoyed the Lake and surrounding area, all of us agreeing we had to return to Italy next year and explore another region. And we did for two weeks this time. Flying again with Easyjet and landing at Pisa (Galileo Galilei airport) in the province of Tuscany. A car was hired and well travelled whilst we lodged at campsites in FiglineValdarno close to the Chianti region, then on to the west coast at Cecina. At the end of this particular trip, I remember sitting inside the plane when it was announced that the UK had been put on its highest alert for terrorism. I hid my tears whilst we waited and waited on the runway until the time was granted for us to depart back to the UK, only to return to the constant threat and worry of terrorists. I didn’t want us to have to go back to that. As the plane banked round as if to salute Pisa’s leaning tower I whispered ‘Ciao’ to Italy and watched all the ‘tiny’ cars going about their daily business. I wished it was us in a car below. This was the time I realised I was ready. I didn’t want to go home, I wanted to stay. If we had been told we could not return to the UK, then that would have been fine, thank you very much. Derek had often talked about moving over but I hadn’t felt ready enough to take the step until now. I knew he wanted to be living in Italy by the time he was 50 but as he was already heading towards 49 we would have to get a move on! Putting aside the fact that we had only experienced Italy on a holiday basis, it is possible to get the feel of a country, its people and ways of living providing you mix and try to join in with its residents, explore and examine what goes on and not waste valuable holiday time in your chosen accommodation. We had noticed there seemed to be so much more control on behaviour in the towns, (not just touristy towns) less damage, less litter, more police. And police with pistols or machine guns who do not muck about. OK, I put my hands up. We know not everywhere is perfect, and in the major cities there are many problems with drink and drugs, but most towns are well kept and SAFE. We would like our children to grow up where the pace is not so rushed, where there’s more to do outside of the four walls of home and to enjoy aperitifs with their friends when they’re a little older. We know they are young and it will be a while before they appreciate the fact that they will be living close to Rome, Siena or Florence with all the history on their doorstep. But we are sure one day they will. Our dream is to encourage them eventually to go to University and have the chance of getting good jobs we hope would bring them nice things, whether in Italy or elsewhere. We will guide them as best as we can and take a step at a time. And us? We would be lying if we didn’t say that we too would like to reap the benefits of living in Italy and have a better quality of life. Anyone who has visited Italy will understand this, Italians enjoy life. Plain and simple. Of course, there’s the fresh produce, the views and the climate. By this time, we felt we could both honestly say YES! BEFORE WE ARE TOO OLD AND IT’S JUST TOO MUCH EFFORT. So, we have made the decision, but when? In fact, it wasn’t Derek’s ‘time-scale’ which pushed us along, it was schooling. The following year Gianni was due to move up from junior to senior school. That was it. The decision was more or less made for us already. No way did we want him to have to fall into senior school, make new friends, then have to drag him out again so soon after to do the same thing again in Italy. That’ll be too much of a disruption for him. We also didn’t want to leave it too late so that it risked the children refusing to come with us. My god it was exciting and a relief that we had actually made a decision. My dear Mother died a year and a half previously and I remember both her and my Father loved the continent, so I felt I would have their blessings to go ahead. But, it was scary. Where do we start? How will the children cope? What about work? We need work. Where will we live? Which schools do we choose? Learning the language? How will Derek’s family feel about him leaving the UK? We had so many questions. We thought it would be unfair not to tell the children immediately and it would give them the chance to prepare themselves mentally. We reminded them of the wonderful ice cream and pizzas! We were now able to talk freely at home about our life-changing move. Obviously they had their own questions. What about our friends? We said if they kept in touch with their friends, then they can certainly come out and visit. We also mentioned that children are children all over the world and it wouldn’t be long before they made Italian friends too. Will there be guinea pig food in Italy? Oh yes, the beautiful guinea pigs. Derek and I agreed we’d cross that bridge soon, but not on the same day. Naturally, Derek also talked to his family immediately. Of course it was a shock for them, even though maybe, they may have already quietly questioned in their minds if we would move across one day. It’s not easy telling your parents, siblings and elder daughter. Derek’s Mother who is in her 70’s had never been abroad for the fear of flying and couldn’t imagine what it would be like living in another country. We broke the news to our close friends shortly after. It was mentally exhausting and we were only at the beginning. We made lists of lists. I bought a notebook and each page had a subject, and each subject had other subjects! For example, our present home, the bungalow; we had decided to make it available to rent out to start with, so, under the heading of bungalow, we had sub-headings of electricity, telephone, television and water. The organisations needed to be aware of a change of occupancy date nearer the time together with meter readings where necessary. Another sub-heading under bungalow, was ‘Letting Agents’. We had to ‘shop around’ for an agent to take care of finding a suitable tenant. Renting your property through an agent does cost you money, but we thought it was the better option for us. The agent makes sure the monthly payment arrives and does an annual property inspection. Should the tenants leave, the agent immediately looks for another suitable occupant. We wouldn’t be able to do this from miles away. The other option was to rent the property out privately, therefore saving the costs. This is OK if you are living closer and you can handle things yourself but, our opinion is that the agent (providing is a reputable agent) acts as a type of negotiator protecting the property owner’s rights as well as the tenants. I put an ad in the local newspaper looking for someone, preferably Italian mother tongue to help prepare us with the language. I knew of a local newspaper which covered a wide area. On the morning the ad was published, Franco had telephoned. He was a gentleman in his late sixties, previously from Arezzo, Tuscany. He had taught Italian at a college in the UK and was now living just a few miles away from us. We arranged for him to come to us for an hour every Saturday afternoon. The Internet as we know is a good source for information and I had spent quite a lot of time looking at websites for example www.fco.gov.uk which provides helpful up-to-date advice on many things including health cover. Another, www.conslondra.esteri.it provided valuable assistance in respect of what was required from the UK schools including sample letters for us. Three school reports were written by the head teacher and translated by our ‘coach’ Franco, were subsequently forwarded on to the consulate for approval. In turn we received multi stamped and signed documents headed ‘Attestato’ for each of the children from the Consolato Generale D’Italia in Londra. We were to take these with us when registering at new schools in Italy. Moving within the European Union meant it was slightly easier paperwork wise than those moving in from outside of Europe. Our passports were the first things we double-checked were in order as well as the modern pink plastic driving licences together with the green sheet that accompanied them. We were advised to have all of our medical records ready to take across with us. The cost for obtaining a copy depends on your doctor’s surgery. For example, the children’s and mine were £10 each and Derek’s was copied for free from his surgery. Make sure it shows the vaccinations given. Someone had said about having the copies translated but I think that depends whether you have any particular medical problems in which case it’s wise to have those details translated before you leave the UK. 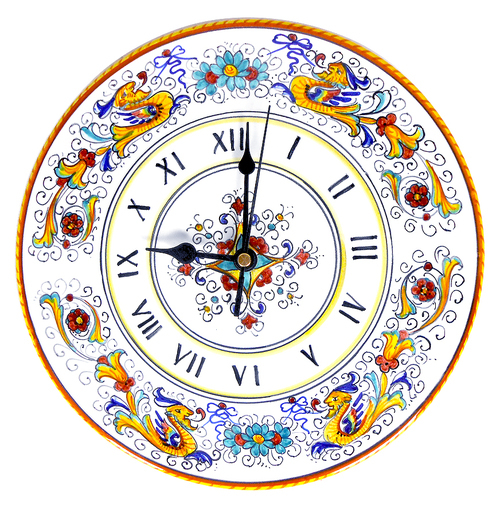 With regards to translations, once settled into a town in Italy, you will I’m sure eventually meet up with someone, or someone who knows someone from the UK who is brilliant at translating and will be happy to help you out for a small fee. Our Italian ‘coach’ Franco, translated Derek’s C.V. for him. We didn’t really know exactly where we wanted to live in Italy at this stage but we had managed to narrow it down to the more central area, to the province of Tuscany. Wanting to get away from damp cold winters we decided to rule out northern Italy and further south would be too hot in the summer months. Derek and I booked flights over to Italy for a quick recognisance where we’d travel parts of Tuscany staying for three nights. Derek’s Mother Beryl stayed and looked after the grandchildren for us. We collected a hire car at Pisa and travelled south down towards San Giovanni Valdarno, across to the area of Siena and stopping for the first night at Pienza. The next day we visited Montepulciano then across to Cortona and on to Arezzo for our second night. Our final day was spent driving up and across to Livorno and finally at Pisa for the third and last night’s stay. We had travelled through many towns and saw a lot of the varying landscapes. Being at the end of February it was cold, but the daytime had sunshine with hints of warmth. Our ‘quick trip’ reaffirmed our thoughts. We had made the right decision to move to Italy in only four months from then, but with still so much to do. Follow us with our final preparations in Episode Three where we try to search for accommodation, look for a LHD car, hold garage sales, ‘goodbye’s’ and seeing us almost run out of time to load up and get to the ferry!